The previous editions of The Rat Nervous System were indispensable guides for those working on the rat and mouse as experimental models. The fourth edition enhances this tradition, providing the latest information in the very active field of research on the brain, spinal cord, and peripheral nervous system. 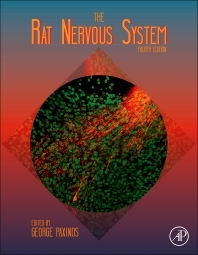 The structure, connections, and function are explained in exquisite detail, making this an essential book for any graduate student or scientist working on the rat or mouse nervous system. Is the Amygdala a Functional System? Chapter 19. Organization of the Basal Forebrain Cholinergic Projection System: Specific or Diffuse? A useful reference tool for neuroanatomists who use rodents in their research. Focuses on neuroanatomy rather than physiology.